Speak and Seek in action! What is Speak and Seek? We ran into several challenges when designing Speak and Seek. Here they are so you can avoid them! 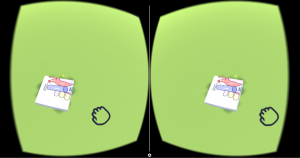 There are two types of Google Cardboard: Version 1 and Version 2. Most apps are only functional on one or the other of the versions, because they use different types of buttons. V1 uses a magnetic button, V2 uses a touchscreen button. You need to make sure the app you want to use matches the version of Cardboard that you buy. There are a number of online retailers for Google Cardboard, but not all are equally reliable. 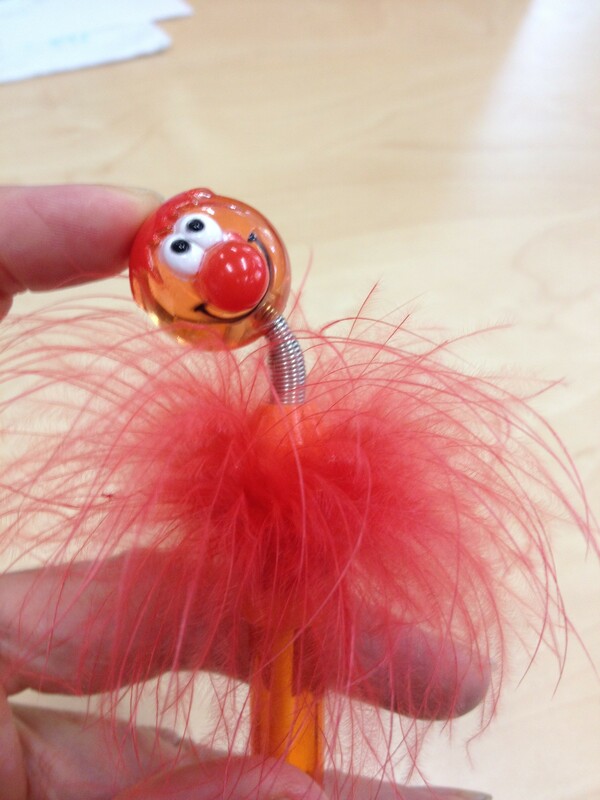 We bought from an Australian online store Remote Pro. They were fast and reliable and had excellent customer service- we even got an educational discount for buying in bulk! What phones do the users own? Most VR apps work best on either Apple or Android phones; it’s more difficult for the designer to program for both. If your class is using their own phones this can become a problem. Depending on how your VR app is designed, it’s easy to make the app available for students to download directly. However, our tutors flagged concerns about downloading the app when it automatically asked for permission to access to phone information such as the camera and location. Luckily, we were able to turn this off before rolling out the program to students- there was no need for the app to have access to that information. 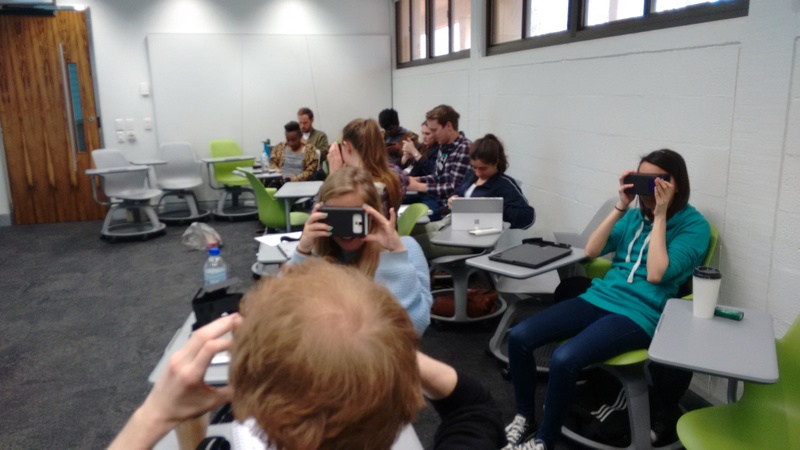 Our third year SCOM3319 Displays and Exhibits students used the Google Cardboard headsets to visit virtual museums. provides accessibility to places you otherwise couldn’t visit because of cost, location, age, disability access, etc. Teamwork and communication skills are highly prized graduate attributes (Coll, Zegwaard & Hodges, 2002), however, many students report that they receive little explicit training in these generic skills (Hansen, 2006). Students tend to dislike group assessments and commonly report feeling anxious, stressed and angry about group work (Neu, 2012). Previous research has suggested that including specific team building activities and explicitly teaching conflict resolution techniques can result in improved attitudes toward teamwork and a better student experience (eg. Ekimova & Kokurin, 2015; Hansen, 2006). 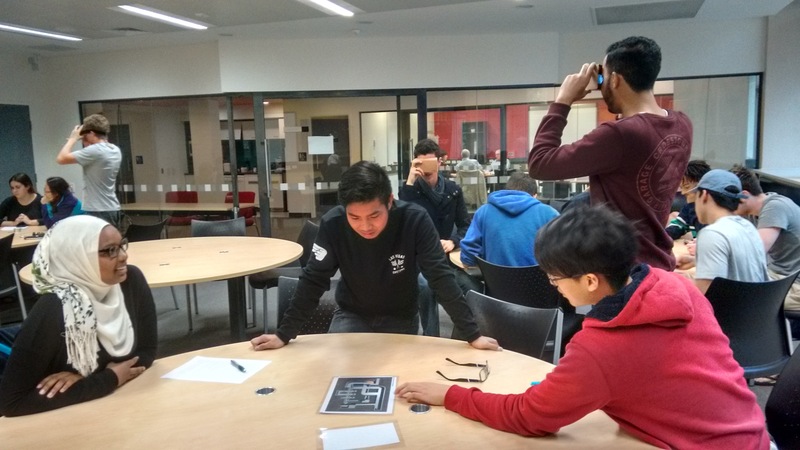 For our class, we decided to introduce Virtual Reality (VR) technology to combine the engagement of technology with the real-time feedback from group work in a tutorial. 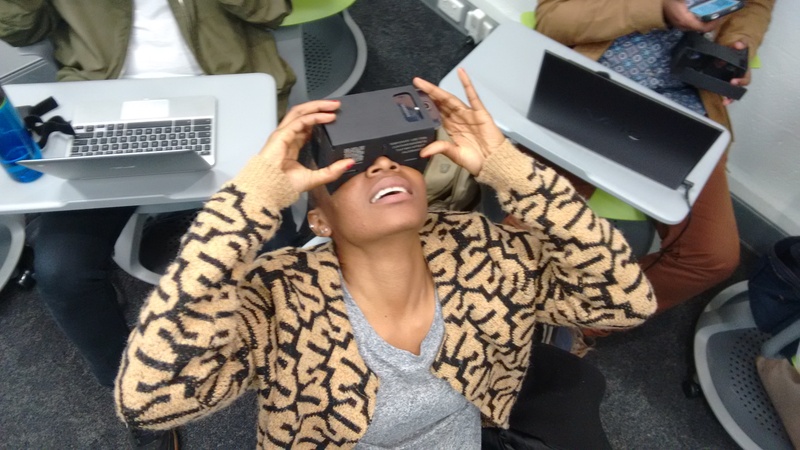 Immersive visual reality has been around since the late ‘80s and the potential for education has been noted (Merchant, Goetz, Cifuentes, Keeney-Kennicutt & Davis, 2014), but as of yet little research has been done in tertiary education settings. 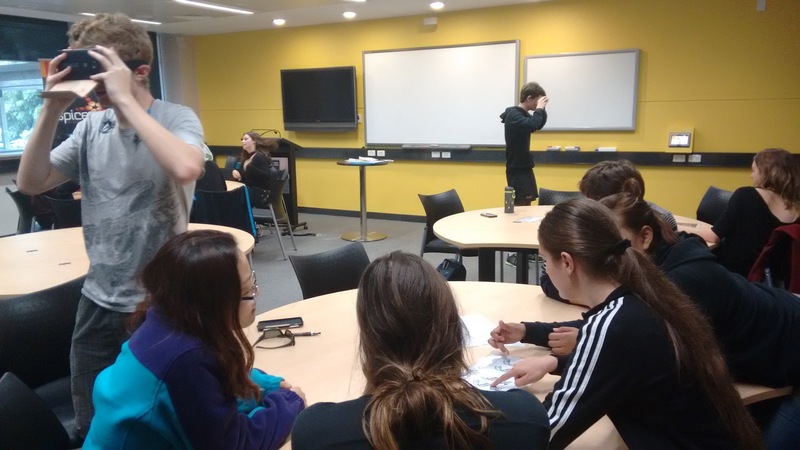 We introduced a new tutorial with a VR component to explicitly address teamwork and conflict resolution skills in a large first year communication skills unit with 700+ students. In the tutorial, students first completed a series of role-playing scenarios where they had to try and find solutions to common group work problems using conflict resolution techniques. They then worked in small teams to play a problem solving game. 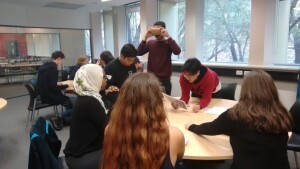 Due to limitations on available VR equipment, most (n=26) groups were provided with a origami puzzle that they needed to work together to solve. 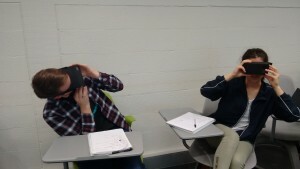 The other tutorials (n=10) were given a VR game created specifically for the class. In this game, one student wore a Google Cardboard headset and looked for puzzle pieces in a maze. They were given directions from their teammates, who held the map of the maze and the key for the puzzles. Students engaged well with the tutorial in both groups. However, tutors reported that students in the VR activity often had to work in slightly larger groups as there were not always enough students in the class with Android phones to make full use of the activity. Overall, although perceptions of the VR were generally positive, it did not appear to be more engaging for students than the simpler origami game. Although Google Cardboard provides a cheap and readily available platform for VR, it still involves a great deal of expertise and expense to set up, especially to create a program that works across multiple phone platforms. Unit coordinators may well consider whether it is worth the effort. However, our activity was only looking at generic skills. The full benefits of VR may only be seen for activities focusing on more specific skills, such as virtual field trips, laboratory preparation or surgical training (eg. Palter & Grantcharov 2014). Coll, R. K., Zegwaard, K., & Hodges, D. (2002). Science and technology stakeholders’ ranking of graduate competencies Part 1: Employer perspective. Asia-Pacific Journal of cooperative education, 3(2), 19-28. Ekimova, V., & Kokurin, A. (2015). Students’ Attitudes Towards Different Team Building Methods. Procedia-Social and Behavioral Sciences, 186, 847-855. Hansen, R.S. (2006) Benefits and problems with student teams: Suggestions for improving student teams. Journal of Education for Business. September/October pp 11-19. Neu, W. A. (2012). Unintended Cognitive, Affective, and Behavioral Consequences of Group Assignments. Journal of Marketing Education, 34(1), 67-81. Palter, V. N., & Grantcharov, T. P. (2014). 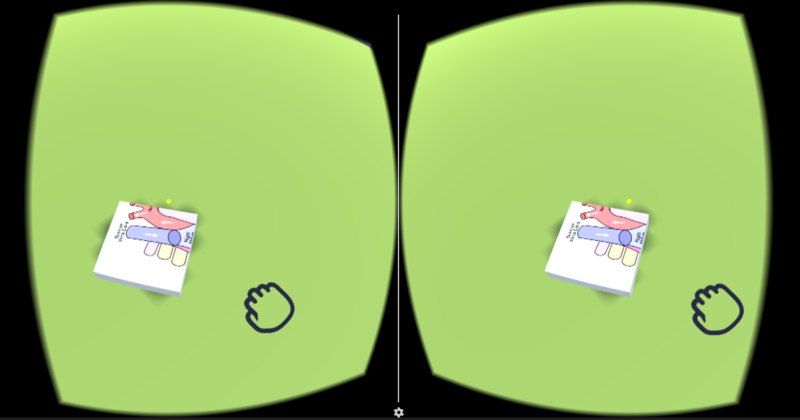 Individualized deliberate practice on a virtual reality simulator improves technical performance of surgical novices in the operating room: a randomized controlled trial. Annals of surgery, 259(3), 443-448. Psotka, J. (1995). Immersive training systems: Virtual reality and education and training. Instructional science, 23(5-6), 405-431. Proceedings of the Australian Conference on Science and Mathematics Education, The University of Queensland, Sept 28th to 30th, 2016, page X, ISBN Number 978-0-9871834-4-6. Our first year science students have been trying out the Speak and Seek games in their tutorials. After learning about teamwork and conflict management, the students put their new knowledge into action. Speed and Seek is the virtual reality game we have developed to teach teamwork skills. The team gets two images, for example, of DNA strands. One image is correct and one has several mistakes. They have to work as a team to identify which image is correct and what the mistakes in the incorrect image are. One team member puts on the headset. They need to walk around a maze where there a eight puzzle pieces: four from the correct image and four from the incorrect image. Their job is to find and collect all the correct puzzle pieces. The rest of the team gets a map of the maze with the locations of all the puzzle pieces. Their jobs is to direct their teammate who is in the VR and help them to choose the right puzzle pieces. If an incorrect puzzle piece is chosen, the maze is reset and the order of the puzzle pieces is randomly reallocated. The first team to finish the maze is declared the winner! The aim of the game is to develop teamwork skills. We know from the literature that most students dislike teamwork, so anything we can do to provide more engaging training is a good idea. The game is highly customisable. Any puzzle pieces can be uploaded and there a two mazes to choose from, a simple corridor maze and a more complex castle maze. Here are some screenshots of what it is like to be in the castle maze finding puzzle pieces. VR has certain differences or advantages that lend itself to different learning situations. In virtual reality you can look all around an object such as an artifact or an artwork or body organ. It appears in 3D so it lends itself to situations where this in an invaluable aid for instance when the real 3D object is inaccessible. Likewise VR allows us to view objects in three dimension that we would otherwise normally be viewed in two dimensions because it is too small like a cell, or too big, like the solar system. 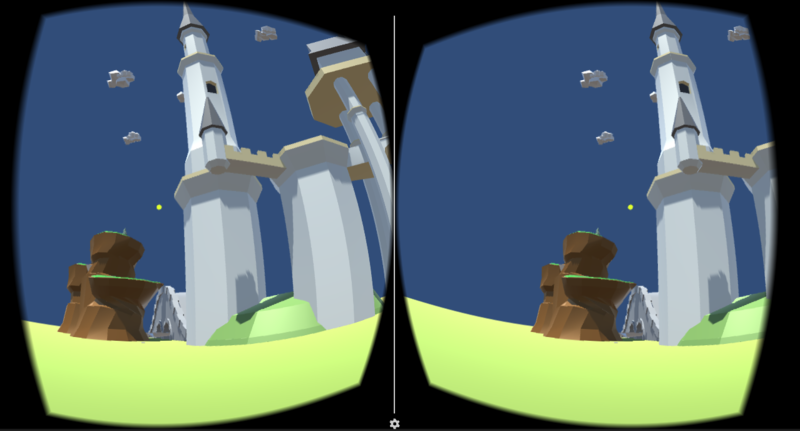 Neither of the above is exclusive to VR of course, but VR adds a level of immersion that makes it a better way to interact with 3D models. The immersion of VR is another benefit that can be used to; help train responses in simulation type scenarios for example language teaching, or in finding out how you would respond when it feels real (as opposed to imagining it) – how would you respond if faced with an attacker with a knife, on paper as opposed to if you real feel like someone is coming at you. The immersion is also engaging and you can also place people in different environments including fantasy ones. Put an ordinary task into a VR world and it becomes potentially more powerful for that engagement potential. Because VR comes at a time when we all carry smart devices on us – it also means that VR offers another medium with which to create, to be creative, to connect and to tell stories. All of which can be used for teaching and learning. VR is an extension, an expansion, an innovation on what we have already embraced (video, mobile etc) so we can expect to be easily accommodated into everyday use. In the tutorial activity we have designed incorporating VR google cardboard headsets, one of the team members is an observer. 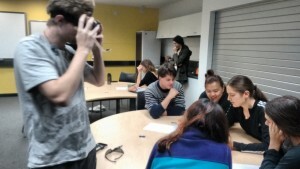 The observer will primarily note when the communication between members does and doesn’t work effectively towards the team’s goals in the activity. They will also be led to notice elements of leadership and team awareness of each other. The observer will feedback to the team. This activity seeks to make students aware of, and help to develop, several key generic (overlapping) skills; team work, communication and critical thinking. A team’s success in achieving their goal will depend on communication, leadership, team members awareness of each other and their mutual support of each other. The teams success in this activity will require some critical thinking. In the case of this activity – almost a parlour game in style, it is not going to fully test or develop all aspects of communication, teamwork or critical thinking. However with an observer built in and time for feedback from the observer and re-doing of the activity, there is the potential to maximise learning from the activity. So how will this VR tutorial help teach critical thinking? Google cardboard has made everyday virtual reality experiences possible. Combining the smart phone most people already have, with an inexpensive bit of cardboard (with lenses), to provide a pretty good immersive viewing experience. 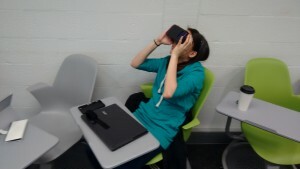 This means virtual reality can be used in the classroom. The VR learning experience that we are designing plans to spin these two problems into the solution for how to teach critical thinking. The isolation of the VR user forces the development of the communication and critical thinking skills. The interaction the VR user wants to do in VR is forced to become interaction with their team mates. Another person in the team is an observer who takes no part in the activity… but that is another post. What is critical thinking? Apart from ‘an essential skill’ that all university students should develop. 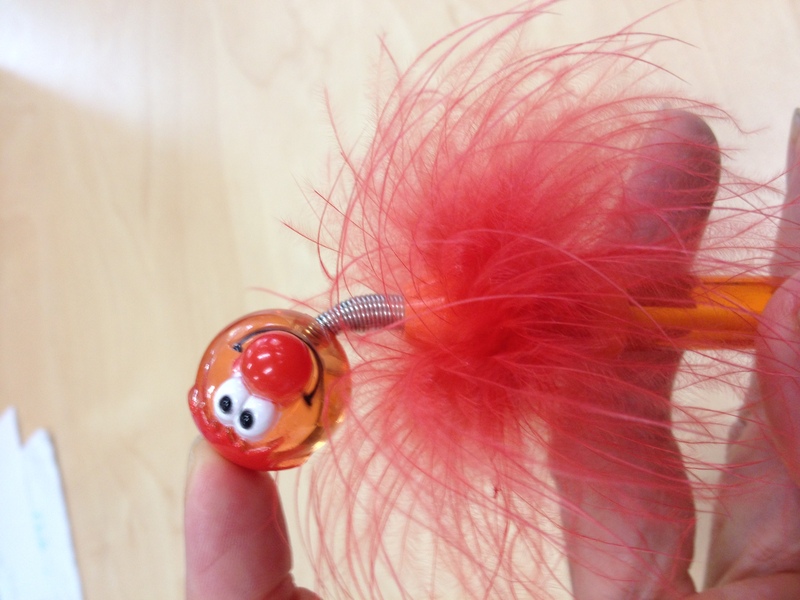 Critical thinking is a tricky beast to nail down. Words like; analyse, interpret, argue, question, evaluate come to mind. But it also seems to be about the ability to put complimentary skills together towards a new aim or combining knowledge and skill. And then there is the component of knowing one’s personal biases. Tim van Gelder (2005) claims that when teaching critical thinking, students will need to have an idea of what they are trying to learn – so in other words they need to have a grasp of what critical thinking is and how they might go about that – to think about thinking about thinking. Van Gelder also points out that the students will need practice and help with the transference of skills. Over the last few decades, there has been a lot of interest from education researchers in virtual reality. However, most research has focused on 3D worlds and games viewed on computers (reviewed in Merchant et al 2014), rather than immersive virtual reality experiences. We would expect the immersive experience to be more engaging for students, but it’s important to get evidence to demonstrate this in practice. 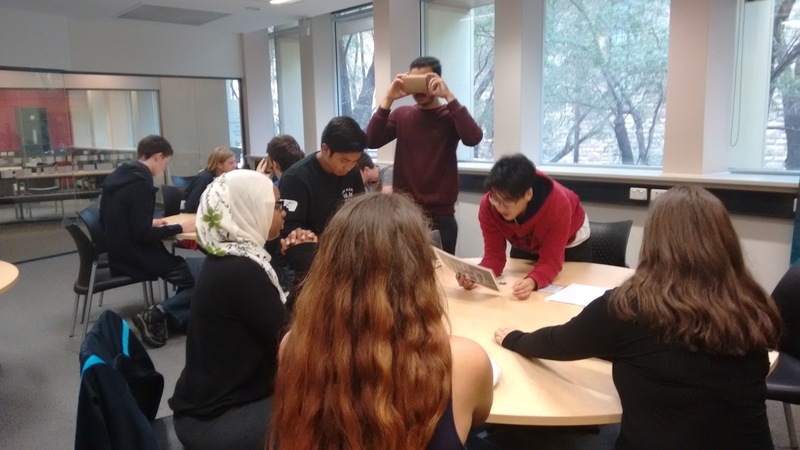 A recent thesis (Hussein & Natterssal 2015) put this to the test by asking university students, high school students and teachers to compare the same application on a mobile phone app and in an immersive VR headset. Obviously more research needs to be done!